We are a local quilt guild serving the Lompoc and Santa Ynez Valleys on the beautiful Central Coast of California. Our mission is to foster a love of quilting and related textile arts - hence the "etc." in Quilters Etc. We seek to contribute to the knowledge and appreciation of fine quilts, quilt making and collecting, and to gain knowledge of quilting techniques, patterns, history, and quilt makers through educational meetings, travel, and friendship. 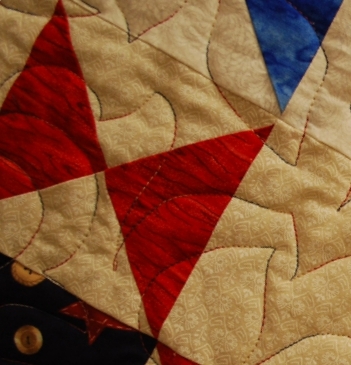 Our members have diverse backgrounds with one common thread: The love of quilts and fabric. The Guild hosts workshops, retreats, and a biennial quilt show, all in a friendly and supportive atmosphere. We invite you to peruse our site and get to know us. Or, come to one of our monthly meetings in Lompoc at the DeWees Senior Center on the 4th Thursday of the month. Visitors and new members are always welcome.